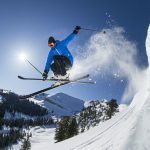 The Armada Victa 97 Ti is a strong all-mountain ski with tank-like edge hold and decent stability in a range of snow conditions and turn speeds. 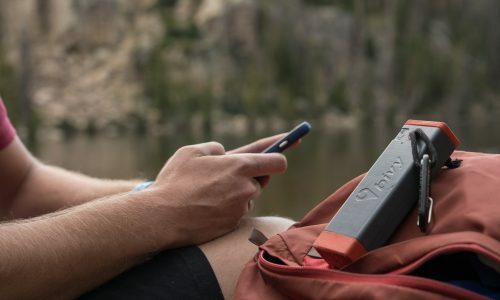 The Victa 97 Ti received high scores for Stability, followed by Float and Carving. 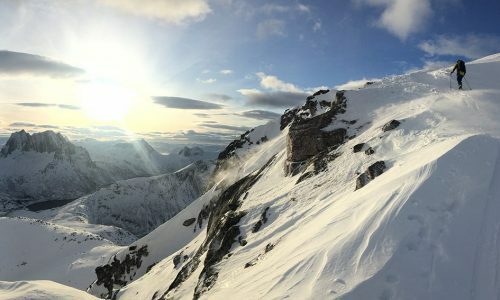 The tips can chatter at speeds and the tails have a tendency to wash out on hardpack and on steep, icy terrain. Testers detected a small sweet spot, noting that the stability lacks in an aft stance (aka, stay away from the backseat). 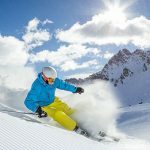 All in all, the Victa 97 Ti suits intermediate through expert skiers looking for reliability and strong edge hold in a variety of snow conditions. 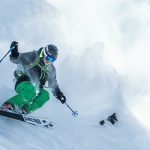 The Armada Victa 97 Ti is freeskiing-focused Armada’s answer to the demand for a high-performance women’s ski. The result? 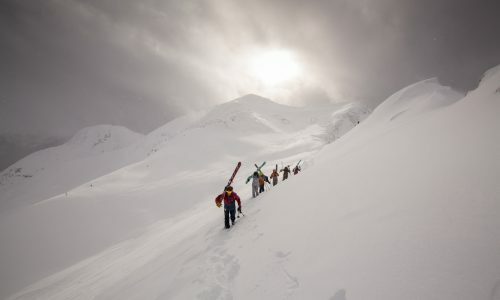 A strong, all-mountain ski with tank-like edge hold and decent stability in a range of snow conditions and turn speeds. “It feels like an Austrian-made ski with unconditional edge hold, stability at speed and a lack of forgiveness if you get lazy,” said one tester. The ski’s construction consists of a hearty blend of hardwoods, Kevlar, Carbon and Titanal. Armada’s Power-lite core includes full wood with hardwood stringers running the ski’s length, designed for stability, power and smoothness. Carbon and Kevlar stringers are placed in the tip and tail for liveliness and two layers of titanium add stability at speed. The Victa’s shape follows an all-mountain profile with rounded tails and moderately rockered tips. The Carbon and Kevlar keep the weight in check while maintaining integrity and indeed the Victa 97 feels light underfoot yet “meaty” and “stable.” Armada’s AR50 sidewalls are a hybrid sidewall/cap construction, with sidewalls underfoot and a capped tip and tail. This contributes to a lessening of swing weight, which was not noted as problematic for testers except for some who reported tip deflection at speed. Testers gave the Victa 97 Ti highest scores for Stability, followed by Float and Carving. The “no surprise” ski felt damp and strong in a variety of turn shapes and snow conditions. Scores for Responsiveness were slightly lower than other fields. One contributing factor was tip deflection at speeds and the tail washout on steep, icy terrain. The Victa 97 Ti has a sweet spot, accessible by a wide range of ski abilities. However, the sweet spot favors a balanced stance and stability decreases when weight is aft. 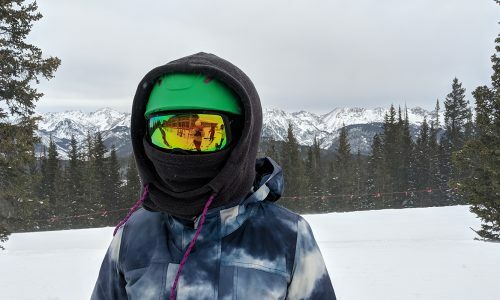 All in all, the Victa 97 Ti suits intermediate through expert skiers looking for reliability and strong edge hold in a variety of snow conditions. Thanks to the Power-lite core and two layers of Titanal, the Victa 97 Ti seems built for Stability. 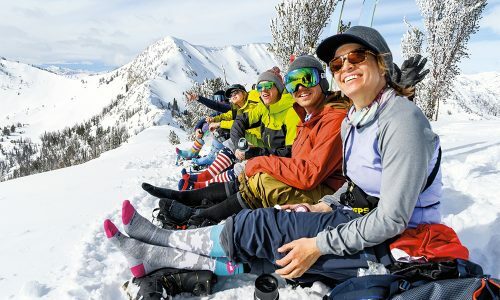 Indeed testers gave the 97-mm waisted ski high marks for the category. Descriptions included “damp,” “quiet” and “bomber stable.” The only infraction to the stability of the ski occurred with skier error, specifically when testers got into the “backseat.” At that point the ski was harder to flex and felt less “reliable and steady.” All in all, testers felt that the Stability was a strength that could extend to intermediates as well as experts skiing at high speeds, with the dampness from the construction adding to the tank-like stability. The Armada Victa 97 Ti scored decently for Resort Float. 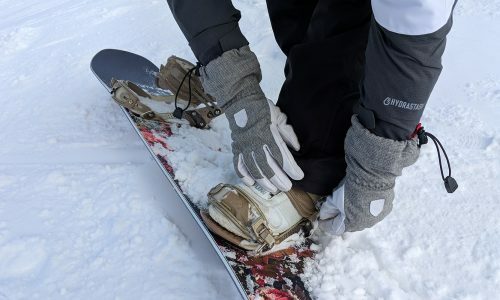 Armada’s AR Nose Rocker profile blends tip rocker with a traditional sidecut profile “for all mountain ripping.” Some testers detected tip chatter at speed, but the tip floated accordingly in soft snow. Testers appreciated the Victa 97 Ti’s versatility in a variety of snow conditions. 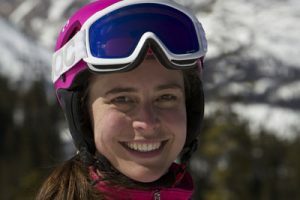 “I’m surprised by the meatiness, stability and versatility of this all-level ski,” says one tester. 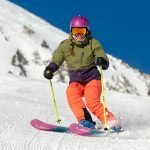 An all-mountain shape and rocker profile plus a core designed for vibration absorption, power and finesse help increase this all-mountain, user-friendly, high performance ski. Testers found the Victa 97 Ti fun to carve even with a waist girth close to 100 mm. Mostly the tank-like edge hold captured their attention. The Victa 97 Ti is capable of a variety of turn shapes and velocity, however, some testers noted tip deflection from the rockered tips at high speeds. Similarly the tails occasionally washed out on steep, icy terrain. All in all, the Armada Victa 97 Ti favors medium to soft snow where it offers bomber edge hold and pleasurable carving.